Once you change your home page, to another page, you will need to create another page to show your blog list. 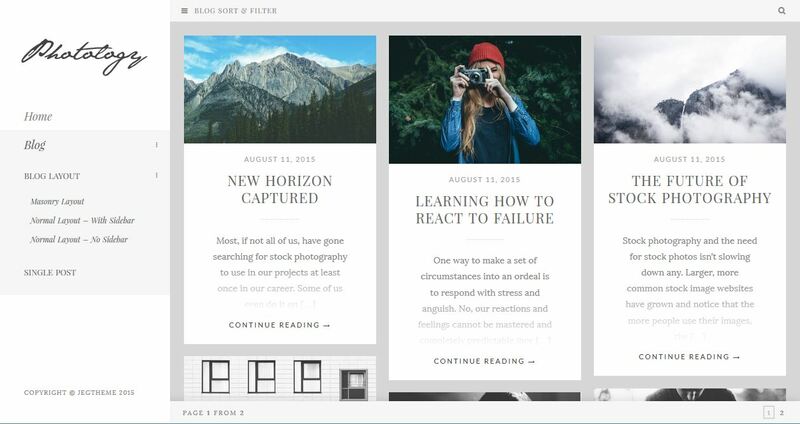 We provide 2 type of blog layout on Photology themes. Normal layout (with sidebar or without sidebar) and also masonry layout. Normal layout is standard blog list, you will also have option to use sidebar or not, and show how many post you want to show on a page. 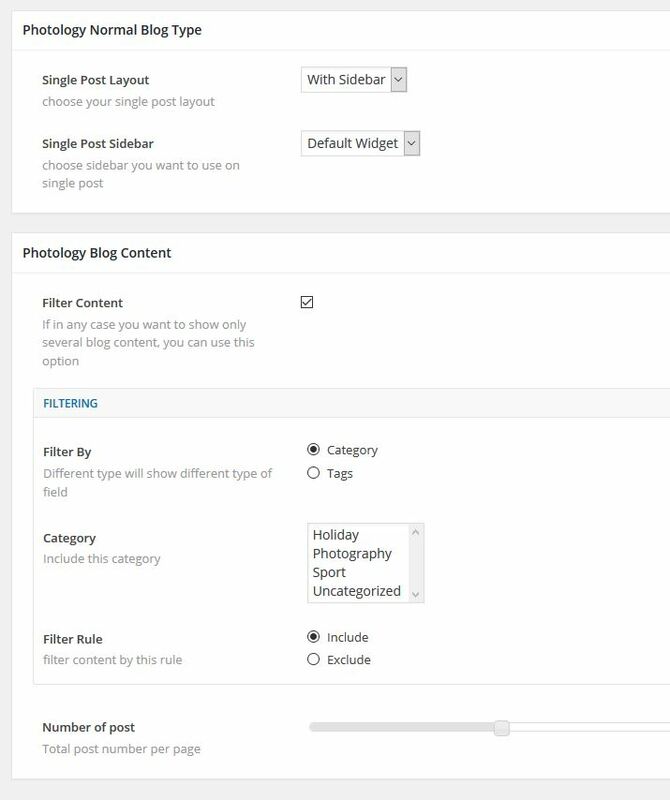 You also have option to filter content which post you want to show base on tag & category. We also provide alternative layout for blog list. It also have filtering & number of post to show on a page the same as normal layout.